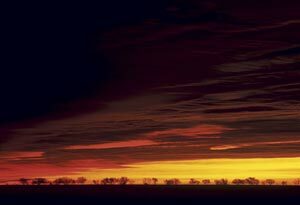 Wyman Meinzer's photographs of the Texas sky appear in a new book, Between Heaven and Texas, with an introduction by Sarah Bird and poems selected by Naomi Shihab Nye. The book is published by the University of Texas Press. 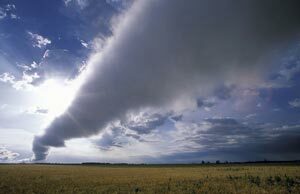 An early spring cloud formation near Canadian in the northern Panhandle. 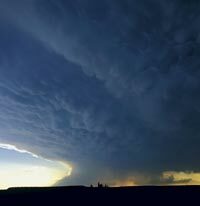 A mammatus cloud looms over the horizon near Benjamin. 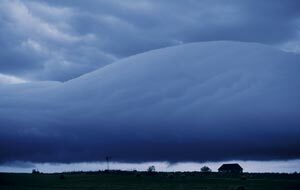 A multiple roll cloud that appeared after a hail storm. 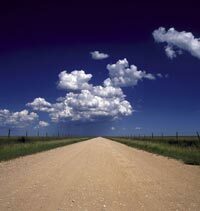 A long road meets the summer sky over the Llano Estacado. 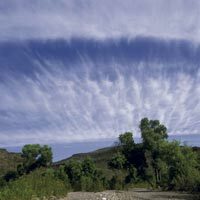 Clouds put on a show above Fresno Canyon at Big Bend Ranch State Park. 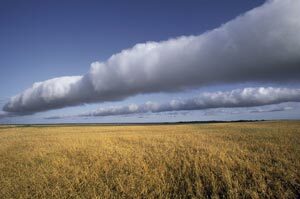 Roll cloud illuminated by the sun. 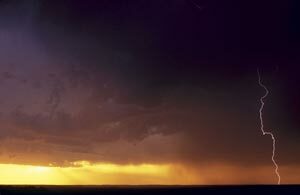 The passing of a summer storm imbues the sunset with brilliant colors. Lightning marks the beginning of a summer storm over Benjamin. 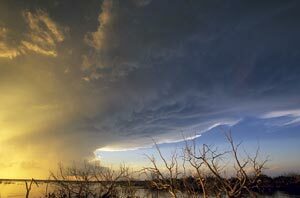 Mammatus cloud hovers above Brine Lake near Truscott.